At her swearing in ceremony, Benson said that she is "ready to work to make us a national leader in fair and accessible elections." Today on Stateside, the partial government shutdown hit the two week mark today. Is there a compromise in sight? Plus, the EPA reversed a ban on a popular insecticide produced by Michigan-based DowDupont, despite evidence that the EPA based its decision to scrap the ban on misleading science. 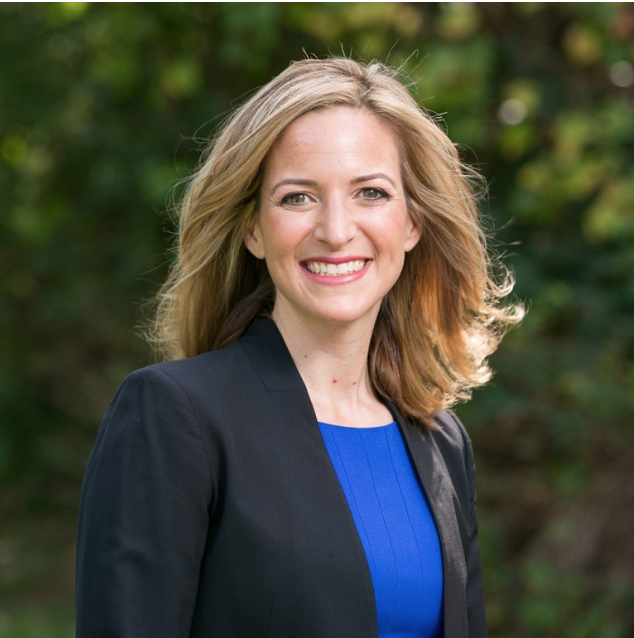 On January 1, Jocelyn Benson became the state’s first Democratic Secretary of State in more than 20 years. Stateside’s Zoe Clark spoke with Benson about implementing ballot proposals on gerrymandering and voting rights, as well as her goals for the department. We're now two weeks into the partial government shutdown, and just when it will end is still very much unclear. Michigan Radio’s Zoe Clark talked to Republican Congressman Paul Mitchell, who represents Michigan’s 10th Congressional District, about who's to blame for the shutdown, and what it will take to break the impasse. The 1950s are generally regarded as the good old days, especially in Detroit, where autoworkers epitomized the prosperity of the blue collar worker in America. But a new book argues that the decade wasn’t nearly as friendly to autoworkers as we might think. Stateside’s Lester Graham talked to Daniel J. Clark, author of Disruption in Detroit: Autoworkers and the Elusive Postwar Boom, about how closures, layoffs, strikes, and shortages undermined autoworkers' ability to join the middle class. Recent reporting from the New York Times examined the impact regulatory rollbacks from the Environmental Protection Agency are having on agricultural workers and children in California. A recently-published study found the science used by the EPA to justify scrapping the ban on chlorpyrifos, a pesticide produced by Michigan-based DowDupont Inc., contained misleading results and was improperly conducted. Stateside host Lester Graham talked to Nathan Donley, a senior scientist at the Center for Biological Diversity, about the study’s findings. "Labeled uses of chlorpyrifos rest on five decades of experience in use, health surveillance of manufacturing workers and applicators, and more than 4,000 studies and reports examining the product in terms of health, safety and the environment. No pest control product has been more thoroughly evaluated. Chlorpyrifos is one of the most widely used pest control products in the world and is authorized for use in 79 nations." Politcial roundup: Can Whitmer’s legislative experience make promise for bipartisanship a reality? This week, we saw the swearing in of a new governor, secretary of state, and attorney general for the state of Michigan. And next week, Michigan's newest class of legislators kick off their legislative session. We talked to our Friday political commentators about whether the promises of bipartisan cooperation will be able to survive in a state with divided government. Vicki Barnett is the former mayor of Farmington Hills and a former Democratic legislator. Ken Sikkema is Senior Policy Fellow at Public Sector Consultants and a former Republican leader of the state Senate.